Vinyl is the most popular bathroom flooring material, because of its low cost and high degree of practicality. It is well-suited for every bathroom in the house, from the master bath to the powder room. Ceramic and porcelain tile is created from a mixture of clays that have been pressed into shape and fired in a kiln at high temperatures. 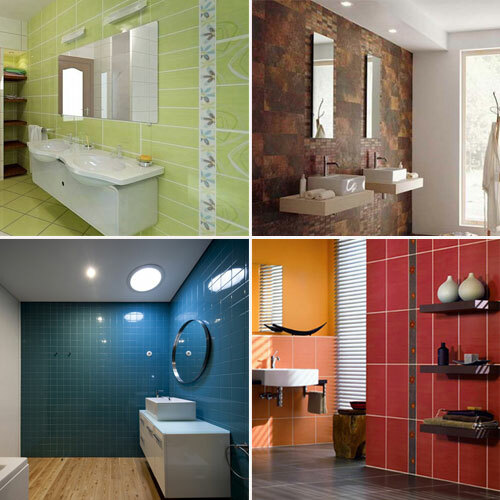 If glazed, these tiles are ideal for baths, they come in an array of colors, patterns, shapes, and sizes. They may also be glazed with high-resolution digital images fused onto the surface. Marble is a natural stone created from limestone that has been crushed and heated by the earth for millions of years. Sophisticated and traditional, marble tile can be highly polished and comes in a range of sizes. Marble can be patterned or veined, adding interesting color to a bathroom.